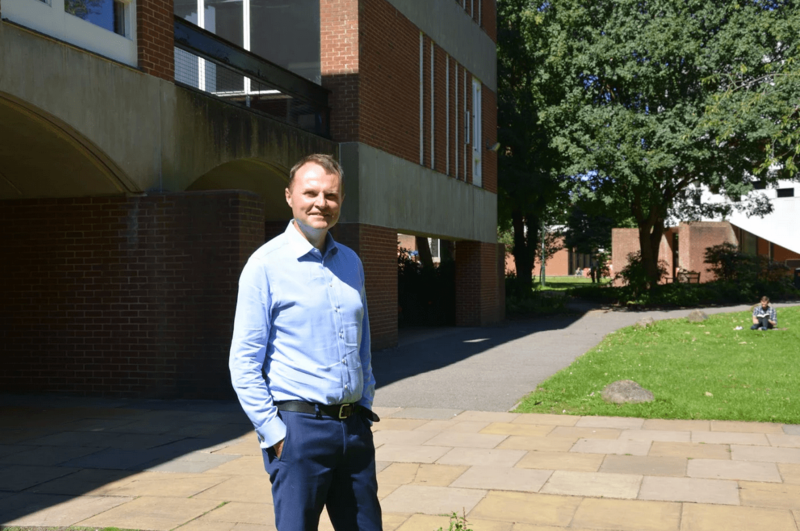 In an exclusive interview, Editor of The Badger Freya Marshall Payne spoke to Sussex’s new Vice Chancellor, Adam Tickell. Professor Tickell is Sussex’s eighth VC in its 55-year history and is a well-known economic geographer. Prior to his new role, he was a Vice-Principal at Royal Holloway and most recently Vice-Principal at the University of Birmingham. By the time you are reading this newspaper, Professor Tickell will have begun work as our new Vice-Chancellor. Sitting down for interview in late August, however, he was fresh back from holiday and visibly excited about the prospect of getting started in post. Mild-mannered and quiet, he came across as thoughtful when we spoke about Sussex specifically as well as universities in general. He reiterated his desire to get to know Sussex before imposing changes, and to ‘listen’ to students and staff. One change he is considering introducing from amongst a raft of possibilities is an Equality and Diversity Deputy Pro Vice-Chancellor, whose remit it would be to ensure that Sussex tackle a range of issues affecting its community, from accessibility through staff equality to the issue of sexual assault and violence. Another interesting change would be Professor Tickell’s wish to make himself available to members of the university through drop-in meetings. It seems clear that our new Vice-Chancellor is adopting a much closer approach to students and staff than the typical one suggested by the role of university top bosses. In his interview, you can listen to him in his own words. Question: You are arriving at Sussex at the same time as a new intake of students so you’re basically getting used to Sussex in parallel – both fitting into your new environment. What have you found striking about Sussex so far? First impressions? Answer: That’s a huge question. Where to start? I’m hugely excited. You’re right, I don’t know a huge amount, so for the first term or so I’m going to be adjusting as much as [new students] and I’m going to be listening a much as anything, that’s the plan. I think Sussex is an amazingly exciting place. It has – I should stop saying it and say we – we have a very distinct heritage as an institution. There is a very particular sense of what a university ought to be and I think that for various reasons, in the 1980s, Sussex began to lose a certain sense of what that could be and in particular Margaret thatcher, the Prime Minister, she wasn’t particularly keen on the kind of institution that Sussex was. There was no sort of vendetta against Sussex but that kind of institution. And for me, the rediscovery of some of what Sussex is about is something which is early exciting to me and I think should be exciting to the university too. Q:You have a background studying neoliberalism and I was wondering how that influenced your view of the role of the university or the role of Vice-Chancellors? Q: I’ve heard that you are going to be akin a distinction from the Farthing era. Are you planning on shaking things up? Any specific changes? Q: One of the central issues at Sussex over the last few years has been the privatization of university services. I have a faculty source who believes you might want to change the tone and consider bringing the services back under university control. Would you like to comment on this? A: I don’t want to comment on how things have been done [in the past] because I think it would be wrong to do so. I genuinely haven’t seen any of the contracts that we have with the third party companies. I would say that what I really wouldn’t want to see is the externalization of services meaning that people were working in less than decent pay conditions. That’s not something I’m sympathetic with – and from a pragmatic point of view, if you have third parties running your services you have to pay 20% VAT and allow for the fact that private companies don’t do it because they are altruists, so they have to make a profit. If you add those together, then they have to be 30% or 40% more effective than if you are doing it internally. So I want to be convinced that that we’re not seeing a reduction in people’s pay or the quality of service as a result of the need to make that margin. So I don’t have a strong ideological view about it, but I do think that if you look very hard at the contracts you’re not just thinking that somebody else is that much better than you are. At Birmingham we did pretty pretty much everything in-house and we did it effectively and efficiently because we had really good managers who ran the services. So we’ll have to see. Most of the contracts are new, so I suspect that they’ll run to term. I can’t imagine making the changes quickly. Q:So would you consider carrying out a review of how the contracts are implemented and then deciding whether you wanted to bring things back in-house? The nature of contracts with third parties is that you have to review them constantly and make sure you’re getting what you ought to. And if you’re not getting it, then you have to make sure you do. Q: Sussex has a history of radicalism, protest and indeed occupation. Do you think the university took the right approach in the past, and how does it compare to strategies you’ve seen at previous posts? A: I really don’t want to comment about what was done in the past because I think it’s unseemly. Q: Perhaps to rephrase that, then, how would you consider approaching the situation if students occupied a building tomorrow? A:I don’t want to be evasive, but the answer is: it depends. I want to make myself local, and if students have a gripe (it is the nature of being a student, and perhaps especially a student at Sussex that you will, that you will have disagreements)… I’d far prefer people come and talk rather than shout. I think occupations are often just a way of shouting. We had occupations at Birmingham with demands which I am sure you can find online, but as I remember they were along the lines of pretty much ‘the Vice-Chancellor’s salary has to be cut be 80% he has to be dragged naked through Chancellor’s Court (I’m exaggerating for the sake of it! )’ But essentially they were transitional demands which you can’t meet but which make people feel good about it. If you’ve got an occupation about that type of thing, you have to talk with people but you can’t really engage in a serious dialogue with people who are asking you to do things which aren’t within your power to do. Another example of that would in fact be defying the Home Office [a demand of the Don’t Deport Luqman occupiers at Sussex last year] – we’d lose the right to give visas to any student. That said, when more than a small number of students occupy it can often be about frustration with a general [issue] so dialogue is important. I’m not of the school that thinks it’s appropriate to expel students for the fact of an occupation. I think we do have to be mindful of the fact occupation can often be disruptive to staff and particularly other students… It’s a difficult balance. I think dialogue is the most effective way of changing things, because things will need to change. Q:Another major issue at Sussex which students care about is that of sexual assaults and sexual violence. Most recently, the case of the tutor who assaulted his [at the time] student girlfriend.You’ve said you will carry out a review of the way this was handled. What else do you think would be good to handle the wider issue? A: I don’t want to spend a lot of time on the Salter case, but I will say that on the first time I start – so in the past by the time this goes to press – I will announce an independent review of this, external to the university. I’m also going to write to Alison [the woman who Lee Salter assaulted]. We need to understand what if anything went wrong, and from where I’m sitting it looks like things went wrong… This is a very different case to issues around consent because they were having a relationship. Now, I’m not sure student-tutor relationships are appropriate and that’s something I think we need to look at: for me, there are embedded relationships of power… Issues around consent tend to be with students, and its a major problem in universities around the world. Our team has being doing things with the Student Union – it looks great. I’m not going to do this straight away, but I think we need mandatory consent training as part of the students’ induction. We are going to have an Equalities Deputy Pro Vice-Chancellor – in Birmingham we had one, and they did mandatory online consent courses. I’d like to start there, but then move on and get serious work done on it. Q:Indeed, you’ve announced the intention to appoint a Deputy PVC for Equalities. This was something which a campaign group for disabled students on campus called Access Sussex had been calling for. You said they would have a broad mandate. I was wondering, what will this mean for students in general? A: We’re working on the job description now. the brief will be determined by me and them, but it will include all aspects of equality. There are so many pressing issues, we can’t do everything at once. But let’s start with the national attainment gap for British black and minority ethnic students – there are all sorts of complex reasons for this. Another is methods of support for all students and staff, and obviously including accessibility. In a sense, we can’t understand the nature and scale of changes needed; we need a programme which will take time to develop. Q:One other issue students are all still dealing with is fees, and now universities have started raising them. Could you tell us if there are any plans for Sussex to raise them? A: I actually don’t know if there are because I haven’t been involved in any discussions here. One of the problems that happens in transition [between university jobs] is that you have confidentiality, which means that I’m not allowed to know what this university are doing as long as I’m still working at another. I have to say that not raising fees in line with inflation means that we have to become much, much more efficient at what we do. The inflation rate for universities is actually higher than [the inflation rate used to calculate fees]. So already we have to generate more money, or we have to cut. Those really are the options. If it’s not a thing this year and it’s not a thing next year, it will come. Because not to do it is going to be damaging. And I’m not going to pretend it isn’t the case. the economics of it makes it inevitable. Q: Do you have any final message for students? A: I’m not good at sound bites! Sussex is a fantastic place – take advantage of it and Brighton.